Color can make or break a video. When it’s done perfectly it adds a new depth to the story while remaining perfectly innocuous. Get it wrong and it can pull the viewer entirely out of your story. While the exact science behind the psychology of color seems to be a popular topic of debate across the internet, anecdotal evidence abounds. Let’s start with a quick breakdown from The Los Angeles Film School. Red represents intense feelings, including aggression, happiness, love and passion. Red also brings to mind ideas of action, adventure, danger, power and strength. The color red is popular with food companies as well, possibly due to a controversial study that found the color accelerated heart rate and breathing, resulting in a stimulated appetite. Take a look at companies like McDonald’s, Wendy’s, KFC, Red Robin, Arby’s and more to see just a few of the thousands of examples. Orange is a combination of red and yellow, and the emotional and mental responses it creates tend to be a combination of the two. In a video orange can represent joy, creativity and stimulation, which makes it a popular color in marketing targeted at children. However it can also represent attraction, success, passion and aggression. Yellow is known for competence, concentration and curiosity. It’s also viewed as cheerful, playful and positive – as long as you view it in small doses. If the color is overwhelming a scene in your video, it can encourage feelings of stress and frustration. In fact according to research, when placed in a yellow room babies cry more and people are more likely to lose their tempers. Possibly because of its prevalence in nature, green is commonly associated with nature, healing, renewal, growth and calmness. However it’s inseparable link to the color of US currency also lends its use to images of greed, luxury, good taste and envy. A study from a University of Washington student found that blue is the favorite color of the majority of adults, even across gender lines. Blue can be used to instill feelings of calmness and peace, and can spark creativity. Blue is often used on video to represent competence, loyalty, productivity and high quality. It is also representative of the traditional idea of masculinity. You’re likely familiar with the idea that purple represents royalty. In that vein, it’s often used on video to evoke ideas of wealth, luxury, sophistication, power, sincerity and authority. Purple is also seen as a “rare” and “artificial” color because it is not often seen in nature. Just as blue is linked with masculinity, pink is often related to the feminine. It evokes ideas of romance and love, and brings to mind the themes of gentleness, gratitude, innocence, playfulness, happiness, tranquility and youth. Using black on video can have many associations with both positive and negative feelings. It signifies grief, fear, mystery and evil, but also simplicity tradition and sophistication. Black features heavily in religious settings as well, indicating feelings of humility and submission. White is most often used to represent innocence, purity, sincerity and happiness. However it can also instill feelings of emptiness, or encourage associations with sterility and clinical settings. We think of early films as black and white, but color has been around since the beginning. It may not be the bright technicolor vision that you think of whenever someone mentions The Wizard of Oz, but there were numerous complex techniques dating back to the 1800s for including tints and pigments to film. 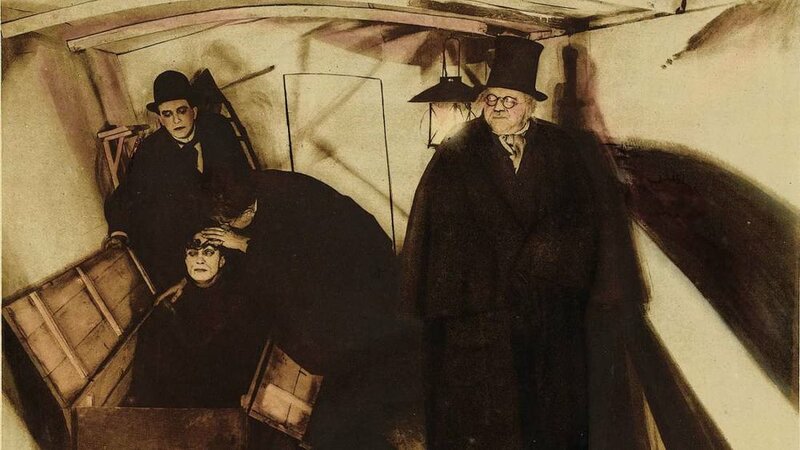 This still is from the first horror movie ever made, The Cabinet of Dr. Caligari, which was released nearly 100 years ago. Instead of a stark black and white however, the film has a decidedly brown tint and, if you look closely, red shadows. This is not a unique occurrence. While adding color to film was still a laborious process requiring many hours and hazardous chemicals, it was a reliable way to help viewers follow along with a story that may jump rapidly between characters, locations and storylines. In fact, it was the introduction of sound to movies that made the process too difficult and low-quality to continue, and severely limited its use until Technicolor’s rise to prominence in the 1930s. We had to do massive visual storytelling because there’s no dialogue — only robot boops and beeps. Yet, we needed the audience to understand that we’re on Earth, that it’s polluted, and that WALL-E’s the last one left. So we limited the palette to tans and oranges. Our production designer was adamant that there be no green anywhere, because he wanted a visual punch when WALL-E finds a plant for the first time. Your eyes have been washed in a limited palette and suddenly there’s intense green. It cerebrally makes a difference. How Can You Use All This In Your Video? Now that we’ve covered the impact of colors themselves, how can you apply this information in your marketing video? If you have physical goods you are selling, think about how they will be displayed and what you can control. Will your item be sitting on a table? Consider dressing the surface with a tablecloth, or building a small scene for it featuring items of various complementary and contrasting colors. Think about who your target audience is and how you want your product to be viewed, then dress the scene accordingly. Will you or another individual be speaking to the camera? It’s important that the focus is on your words and not on your outfit. Nicole Otchy, a personal stylist and branding consultant from Boston gave these six tips on dressing for the camera to production company Wistia. · Wear Jewel Tones Near Your Face. The colors near your face will either drain you of life or highlight your best features. There’s a palette of colors that look best on each of us and especially great on video. Ruby red, emerald green, and sapphire blue are highly saturated colors, so they don’t appear too bright or too muted against most backgrounds, and they look great with all different skin tones. · Be Careful With Black. When it comes to wearing black on camera, avoid it altogether unless you plan on having your makeup done by a professional who can color correct for shadows on the face. Wearing black on camera can make dark circles appear more pronounced, giving you a more tired look. If you really want to wear a dark color on camera, navy is generally a safer choice. · Choose Simple Fabrics. Looking like a disco ball on camera is not always the best style to shoot for. Shiny fabrics, especially under bright lights, are usually less than flattering. Thick cottons and matte fabrics, on the other hand, dampen shadows and can create a smoother body profile line. · Keep It Modern. Another advantage of wearing solids is that your videos won’t look dated as quickly. That vintage pant suit you thrifted last week? Keep it in your closet. Rich, saturated colors never go out of style, so it’s best to keep it simple. · Use Patterns Sparingly. Patterns that look great in person don’t always translate well on camera and can be distracting. Avoid small, busy prints (think paisley or small polka dots), which can look blurry on video. Other patterns like pinstripes, chevron, plaid and houndstooth are also difficult to see on video and can make your viewers dizzy. · Choose Your Backdrop Wisely. The color you shoot your video against will impact how a color that you’re wearing translates on camera. Colors set against a white background will appear brighter, while colors set against a dark background will lose some of their intensity. Whether you plan on making a cinematic piece, or simply a short instructional video, color is one of the most important tools in your toolbox. And no matter how fluid the science behind color psychology, there’s always one consistent: if you’ve done it right, no one will be able to tell you’ve done anything at all. 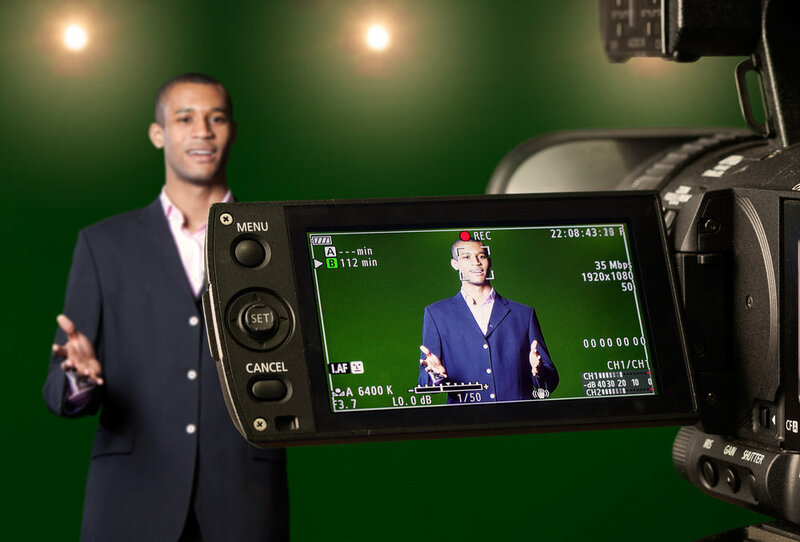 Are you considering introducing video to your marketing plan, or expanding your current video collection? Tabrizi Productions can help you achieve your vision from the first script to the final, appropriately colored, video. Contact us today to get started.